Whenever I post about my upcoming classes I get some comments from people who live far away telling me how much they would love to participate. I can not go everywhere, but the internet can. So this year, I have been working on the online version of my classes. Cookie Academy classes are teaching different techniques in detail and complement the Cookie Academy book series. Cookie Projects episodes will show different cookie projects with step by step instructions. Every project will use different techniques. 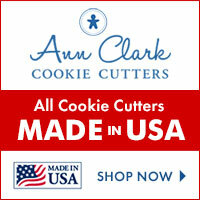 These are great for creating a cool project at home or hosting a cookie decorating party for friends and family. The projects that are designed for parties are marked with a "party" banner. And I am happy to announce, that the first few lessons of Cookie Academy Classes are ready and available on Vimeo. Of course we will have to start with the basics. So this is what I do. But I am working hard on filming all your favorite classes. You don't have to purchase the whole class, you can pick the lessons you need. 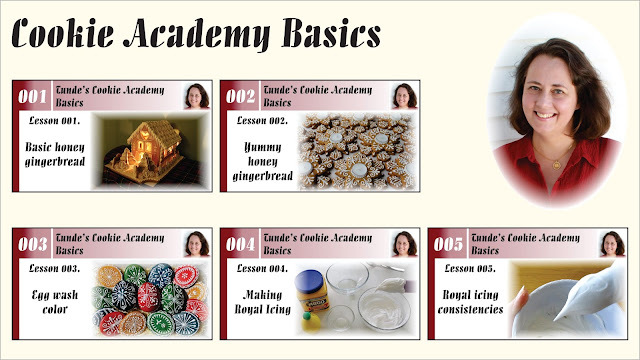 Cookie Academy Basics will have 7 lessons, the first 5 are available now. Thank you! I hope you will enjoy working with it!